Wall decals are the latest trend when it comes to wall décor especially when we are talking about children’s bedroom. Not only are they inexpensive and very easy to put on and remove but they come in beautiful themes and attractive kids room designs. 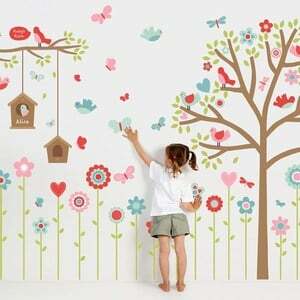 With these cool and cute kids wall stickers you can let loose your imagination and innovation. You can find these amazing decorative wall stickers for children rooms to brighten the spaces for your little boys and toddler girls. In this post, we have come up with some of the best decorative wall stickers for kids rooms that make playrooms and nurseries fun spaces. 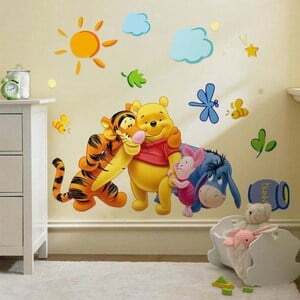 Kids love cartoons and with decorative wall stickers, you can actually bring their cute cartoons alive in their rooms. Your child will enjoy having his friends in his room the adorable cartoon who are their true friends. 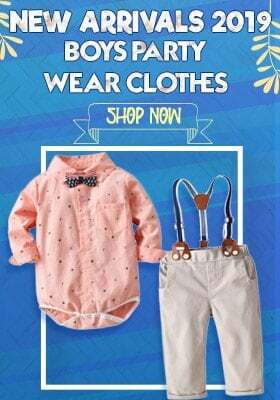 You can select those which are the most favourites of your baby. These are the most innovative and latest style decals. You can transform boring walls into walls that speak for themselves. You can either have a beautiful forest decal in 3D or a vivacious garden decal which will surely add more colours and beauty to the walls and also the interiors. These kinds of decals are truly captivating and enticing. Make the wall, a creative canvas for your little artist. He or she can draw or scribble, study or write on these wonderful decals which act as the cool canvas. 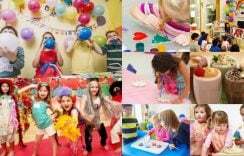 They are perfect for children who enjoy drawing as they can have a big canvas to paint their room with drawings they like. You can actually encourage your kid to hone his artistic skills with this decal. Children love animals. They are so fond of rabbits, lions, horses, giraffes, dogs etc. With cute animal decals, you can have easy to stick animals which always stay with your kid. 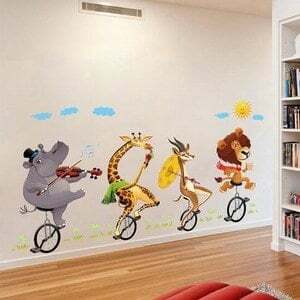 This is another wonderful way to make the walls speak with so many different animals on it. Children in their growing age are very inquisitive to know their height. 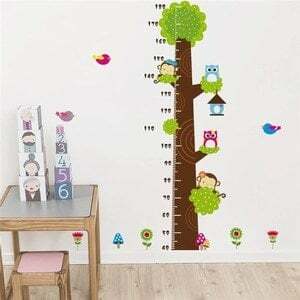 You can have height chart decal pasted on one of their bedroom walls which will not only act as an interesting addition to their interiors but will also offer great functionality. Your child can actually easily mark his height and also maintain the log of his growing height. 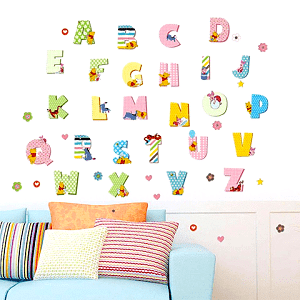 For kids who will soon start with their preschool, alphabet stickers are a great idea to decorate their rooms long with making learning good fun for them. There are various creatively designed decals which come with beautifully crafted alphabets. Your child will not only love the new wall in his room but will also enjoy learning those alphabets without having to open his boring books. 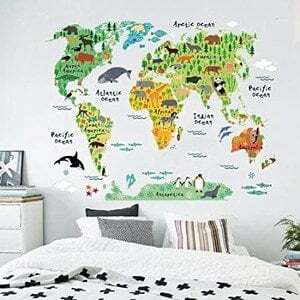 For kids who are already in school, world map decal is a good way of introducing them to the geography of the world. This will help them understand different continents and also spot different countries. With such amazing kids’ wall sticker you can make learning simpler and more enjoyable for your children. There are lots of different kinds of world map decals to choose from. 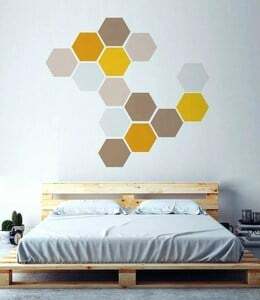 This is another interesting kids’ wall decal which comes with different geometric shapes put together. Not only it forms an attractive pattern of shapes but you can also have your child identify and learn these shapes. Imagine a wall full of triangles, circles, rectangles, squares, pentagons etc. Your kid will easily be able to spot each of these shapes. Colourful and vivacious on the walls will surely look so pretty. Children love butterflies and having them in their room will be super fun activity for them. This is an amazing idea to have lots of butterflies on the wall in form of easy to put wall decals. This is an aesthetically beautiful idea to have colourful butterflies come alive on the walls. Girls love flowers. With pretty floral wall decals, you can redefine their interiors with fresh and beautiful flowers in any colour you desire. You can select from different kinds of flowers like roses, lilies, tulips etc. in the favourite colour of your little princess. With this decorative wall sticker, you can surely add a fresh touch to her interiors. 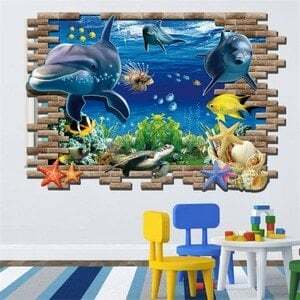 These are some of the delightful choices of kids wall décor which are not only easy but also very attractive. Add these to bring more colours and add more fun to the rooms of your little girls and boys.